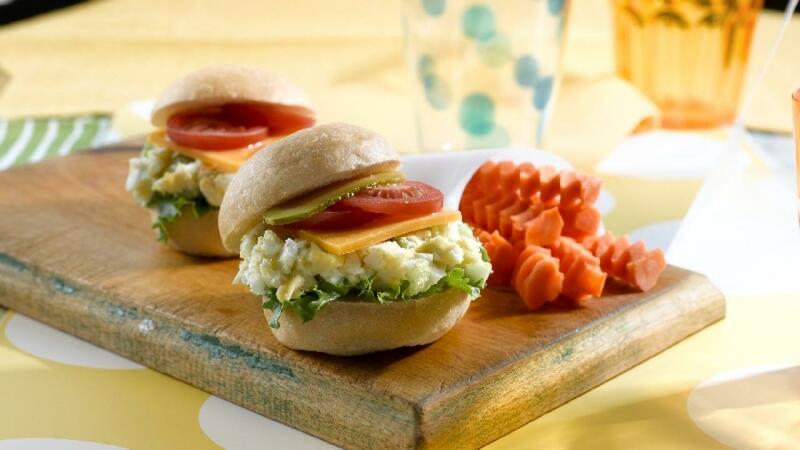 Egg salad sliders are a simple appetizer for a family gathering or the perfect lunch for your child. 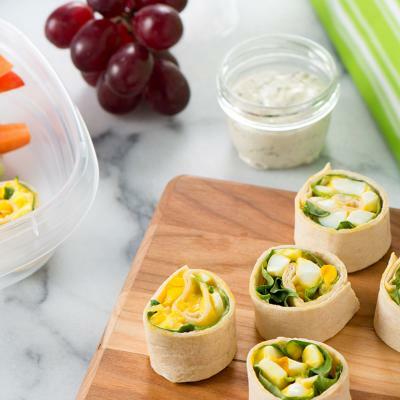 The filling can be made in advance so that assembly is a breeze! 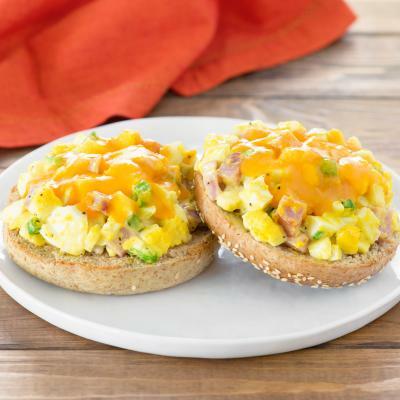 Combine eggs, celery, mayonnaise and pepper in medium bowl and mix well. Place small piece of lettuce on bottom half of each bun, then top with egg salad, dividing it equally between eight buns. 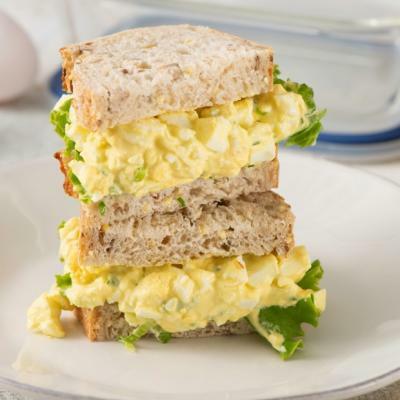 Top egg salad with slice of cheese, tomato and pickle. Cover with top half of bun to form a burger. Serve with ketchup and relish, if desired. Serve Egg Salad Sliders with carrot “fries”. Using a crinkle cutter or a knife, cut carrots into 2 x 1/4-inch (5 x 0.5 cm) "fries", set aside.